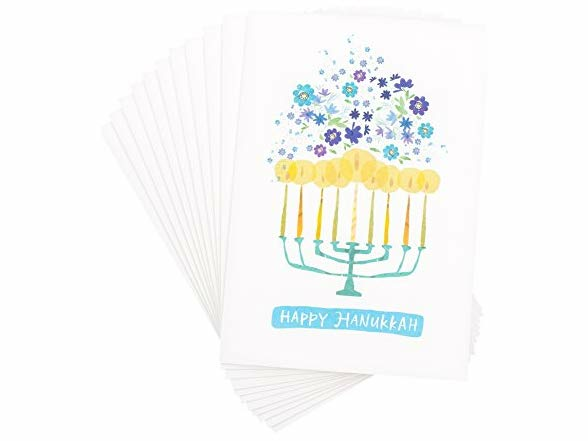 These festive Hanukkah cards are the perfect way to send warm wishes to friends and family this holiday season. 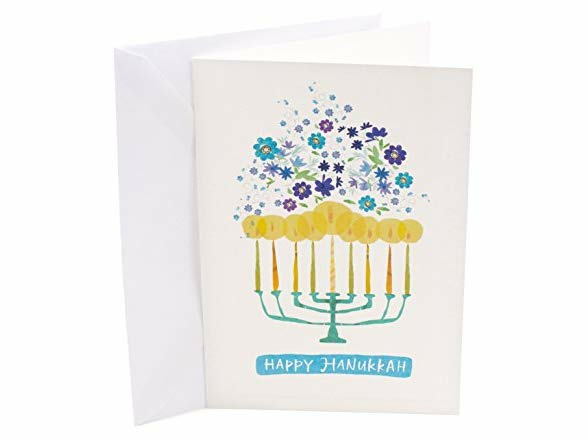 Holiday cards feature a painted, colorful menorah and flowers, accented with foil and embossing. 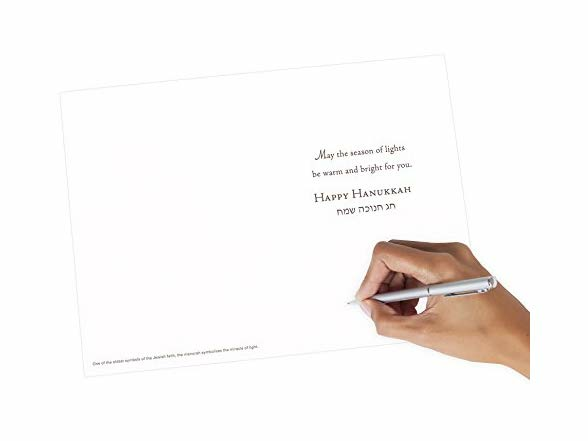 Inside reads: "May the season of lights be warm and bright for you. 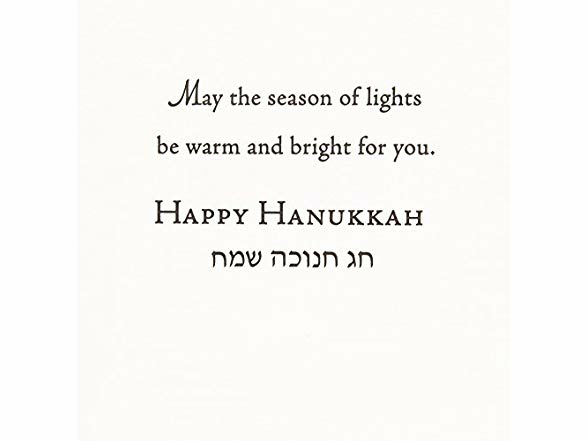 Happy Hanukkah." 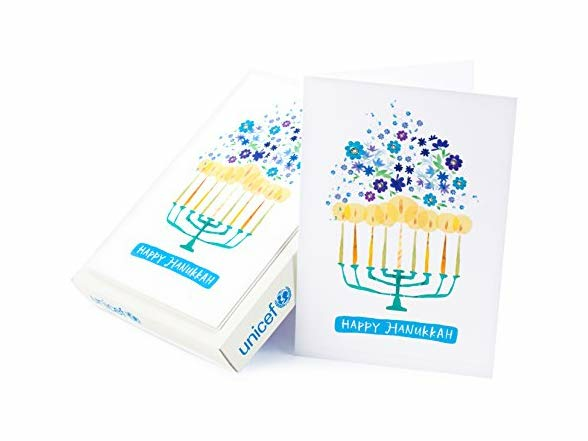 Hanukkah card pack contains 12 cards and 13 envelopes. 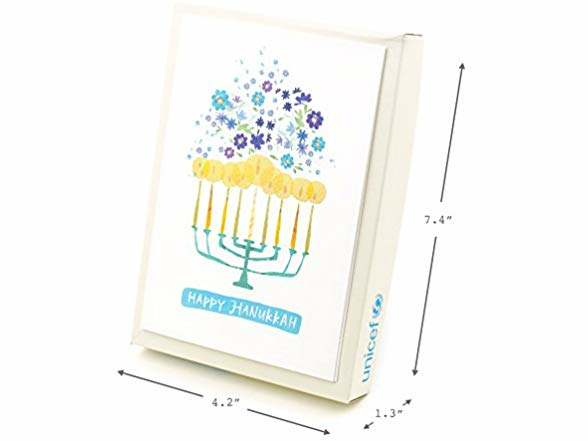 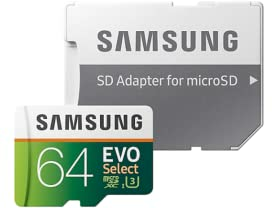 Cards measure 4.2" x 7.4". 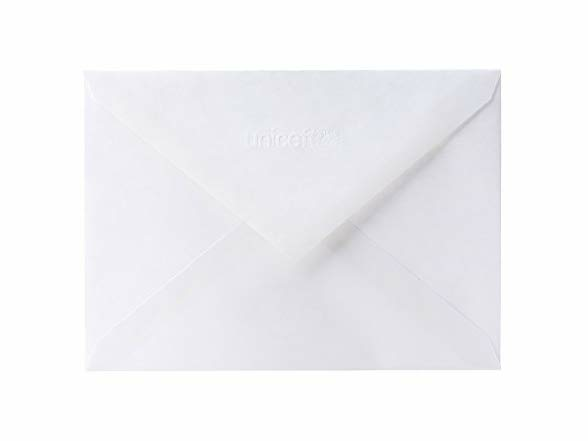 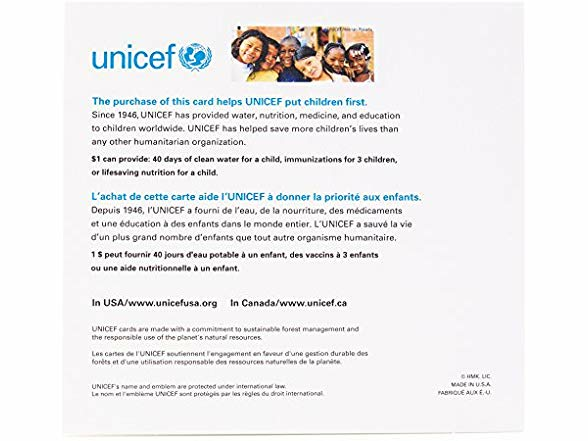 UNICEF, the United Nations International Children's Emergency Fund, is a leading humanitarian and development agency working globally for the rights of every child. 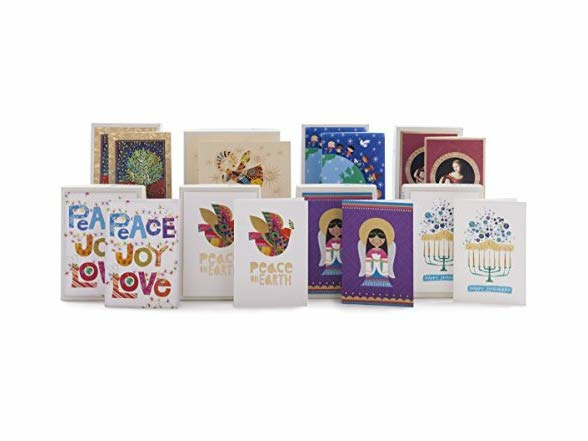 A portion of the sales from these Hallmark cards will be donated to UNICEF.